The blind-spot in Jordan Peterson’s critique of identity politics. Identity politics has become an increasingly prominent movement over the last 10 years. While it continues to thrive, however, it has recently become the subject of increasing criticism and derision. Many on the right criticise leftist identity politics, but all too often they ascribe value to their own identities; as males, or whites, or as citizens of a particular nation. Elsewhere there are more substantial political and philosophical critiques of identity politics. Perhaps the most well understood and significant of these is the one promoted and espoused by Jordan Peterson. 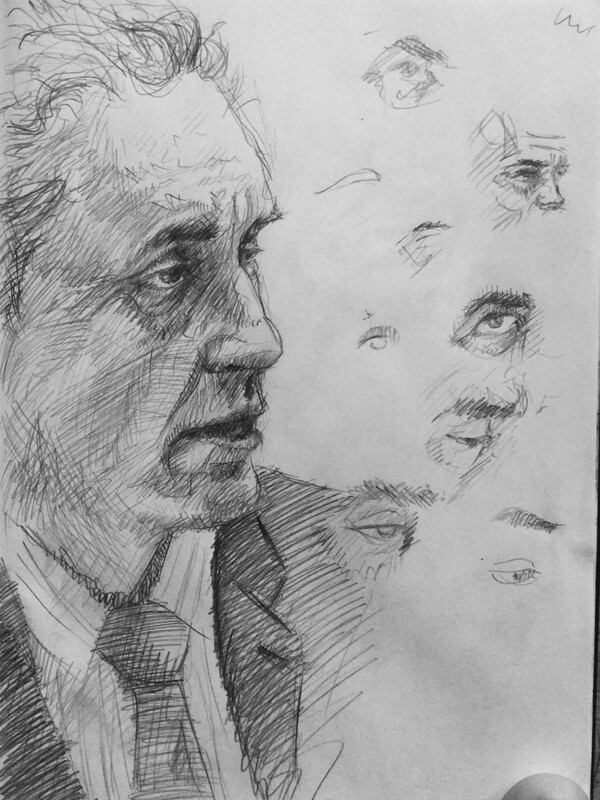 Often when I listen to Jordan Peterson he produces some fascinating and insightful ideas, particularly when he talks about Jung and psychology. I have found him to be an educative figure who perceives the world in a way which I can learn a lot from, but at other times I find it hard to believe that such confused and limited arguments are coming out of the same man. I think his criticism of identity politics is sound but I take issue with the use he puts his argument to, as will become clear by the end of this article. Peterson argues that ‘the problem with the fractionation by group identity is that it’s endless, there’s no way of insuring equality across groups because there’s an infinite number of groups’. The problem with identity politics, he says, is that once you start choosing different groups, based on demographics, to optimise and render equal, an increasingly wide variety of identity groups become apparent. It doesn’t make sense to say that only certain groups qualify to be a political identity. The traditional set of political identities — race, ethnicity, gender and sexuality — is manifestly insufficient to account for the breadth of identities which lead to preferential treatment and discriminatory treatment. ‘What about intelligence? what about attractiveness? how about height? how about weight?’ says Peterson emphatically. We are therefore left with either an unstable and permanently complexifying intersectionalist identity politics, or with an arbitrarily limited set of identities which are exclusively considered to be legitimately oppressed. Neither way makes much sense. The argument manifests the precarious logic of identity politics. To me it implies that we need to envision an understanding of political grievances based on the things we share in common, not on the aspects of ourselves which make us different and unique. This line of thought brings us closer to a Marxist approach than Peterson’s unflattering portrayal could tolerate. 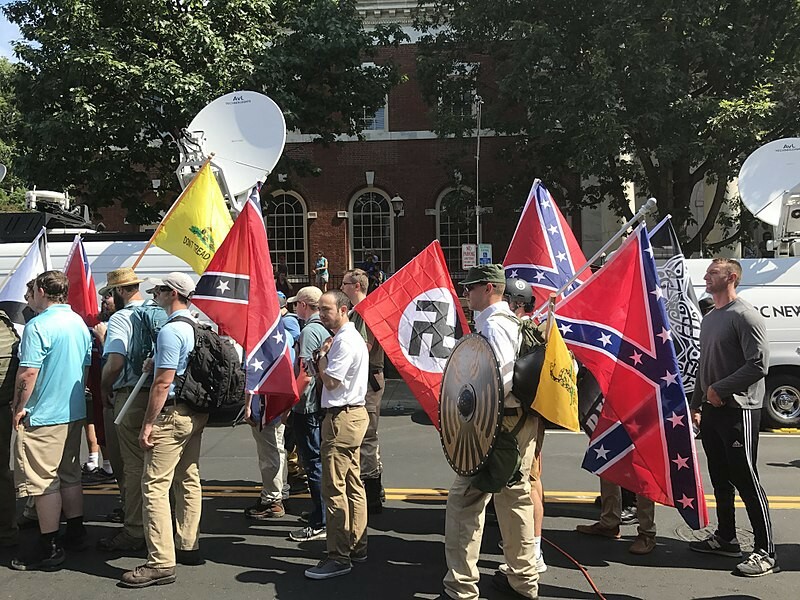 Neo-nazis at the 2017 ‘Unite the Right’ rally in Charlottesville. The first issue I have with Peterson’s application of his critique, is that he often doesn’t hold right-wing identity groups to the same criticism. It’s not that he refuses to criticise the right, but on the issue of identity politics Peterson sometimes treats it as a wholly left-wing phenomenon coming from left-wing intellectuals and students. There are some exceptions to this rule, like the application of his identity critique to the ‘Jewish Problem’, but in the lectures I have quoted in this artiles he makes no mentions of right-wing identity groups. He fails to mention that many of them base their politics, rhetoric and philosophy on national or racial identity and unfailingly rely on the same political logic to underpin their arguments. Second, Peterson seems to throw the baby out with the bath water. As he implores the left to abandon their obsession with identity he refuses to address the deep social antagonisms which lead to particular communities feeling powerless and under-represented (on both sides of the political spectrum); sentiments which often go hand-in-hand with identity politics. Peterson’s refusal to account for the systemic causes of social conflicts is a product of his refusal to seriously consider any ideas which are regarded as being in the tradition of ‘Marxist thought’. He seems to understand Marxism as synonymous only with totalitarian 20th century centralised state communism and Frankfurt school inspired identity politics. But at the same time he seems to paint the entire institution of contemporary humanities with the broad brush of ‘Marxism’. Marx is indeed a significant influence on a large amount of discussions about oppression, social antagonisms and inequality at the university level (many of which take direct issue with identity politics). Those who are dealing with these problems, even those who took an entirely different approach to resolving the problems Marx was dealing with, are often considered to be part of the “Marxist” tradition. So when he dismisses politics students and professors so broadly, Peterson also throws out any attempt to discuss the systemic causes of social problems. This is a worryingly large oversight for someone who is speaking with intellectual authority about political thought. Consequentially he falls back on the view that only individual — presumably market-based — solutions can be undertaken by people safely, and that the rest of us should refrain from involving ourselves with discussions of social change and deep reform (apart from Jordan himself, of course, who comments on these issues as much as he likes). Rather, he argues that we should focus on getting our own lives in order, claiming that one should ‘set your house in order before you criticize the world’. I don’t think Jordan intends to prop up the right-wing or become a venerated figure for the alt-right and the alt-lite, but his failure to hold the right-wing equally to his critique of identity, coupled with his failure to account for the valid grievances which inform identity politics, amount to a viewpoint which is well-tailored to appeal to the cynicism characteristic of elements of the contemporary right-wing. Peterson is right to say that identity politics leads either to oppressive exclusivity or endless fractionation, but he is wrong to dismiss underlying social and cultural issues which bring these ideas into being. As I’ve already said, I think these issues should be responded to with a politics which emphasises the things we share in common: the desires and needs we all share, the rights and obligations we all depend on to live a decent life. Politics which focuses on dividing things up into groups unfailingly produce conflicts and divisions. Politics which focuses on our common characteristics and grievances, and bringing more and more people into the fold, are more likely to grow and are far more desirable. People on the left and right should consider the deep flaws of identity politics, but they should not reject the project of improving social systems and changing them for the better. 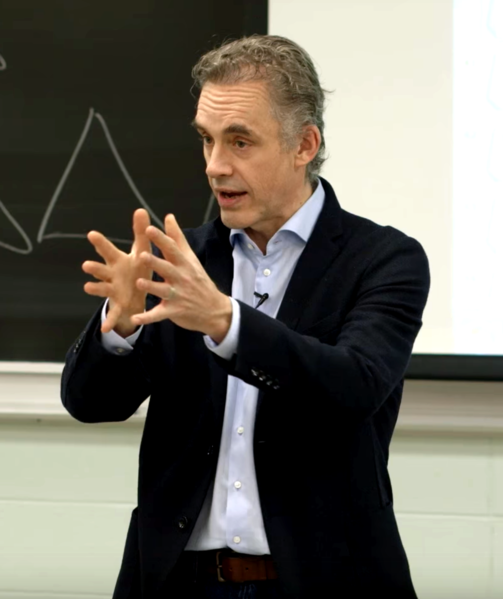 Ways of approaching these problems can be found in a plethora of ways, they don’t need to comes from intellectuals or Marxists, but they are unlikely to come from Jordan Peterson.